I prefer a child’s first eye exam to be around 10 months old. We look for anything that may cause a lazy eye. After that, we seen a child at age 3, age 5 and every year through school. We want to catch anything that may affect their learning LONG before they, or their teachers, realize there’s a problem. What about Pre-schoolers? Are there signs parents should look for that would indicate a trip the optometrist is necessary? Because many children may be too young to read, how is an eye exam conducted if they cannot read a Snelling Chart? 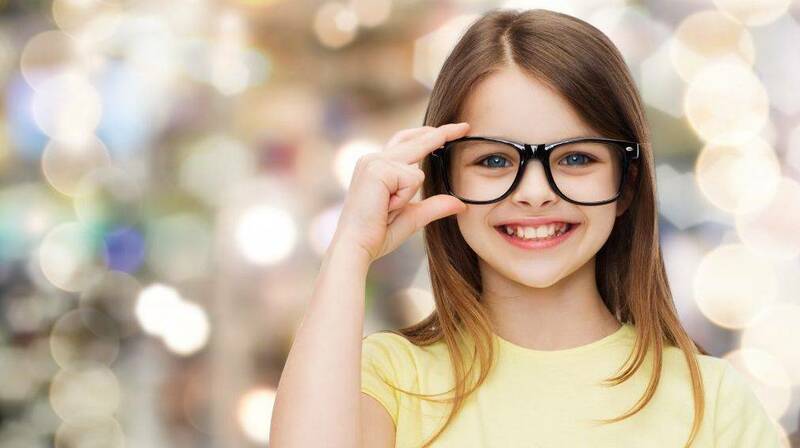 We Optometrists have many ways we can determine whether a child is in need of a prescription. We are able to measure how light bounces in and out of the eye, which would reflect a child’s glasses prescription. One of the greatest tasks of a school-aged child is learning to read and in older children, the amount of reading required. What should parents be on the lookout for concerning their child’s reading and potential vision problems? Parents should watch if their child tends to skips or rereads lines, or lose their place often. Other signs are if child complains about headaches when reading or even just avoids reading all together. All these things can indicate a prescription is needed. Today it seems that many children are very quickly diagnosed as learning disabled or dyslexic. How does vision play into the problems and what are the differences? It’s very common for a child diagnosed with a learning disorder to actually have a vision disorder. It's very hard to learn to read if you can’t see the words on the page. If you’re questioning whether your child is dyslexic or has a learning disorder, PLEASE get their eyes checked before putting a life-long label on them. We have many vision correction choices available today. What do you recommend as the earliest age for contact lenses? There are 6 year olds that I’m more comfortable with the responsibility of contacts than some 16 year old’s I’ve seen. That being said, the wonderful world of Daily Disposable Contacts has made life so much easier for parents. Now parents don’t have to constantly ask, “Did you clean your lenses? How old are these contacts?” Each lens is new every day… No Muss, No Fuss.